He was born in Barcelona (Spain)in 1962. He took up the clarinet at eight years old and earned the degree in classical clarinet. He studied with Juli Panyella and Philip Cunningham and has taken some masterclasses with Lawrence MacDonald and Walter Boyckens. He became interested in saxophone and jazz at the age of 17 years old. Since then he has been working in both fields, classical and jazz music. 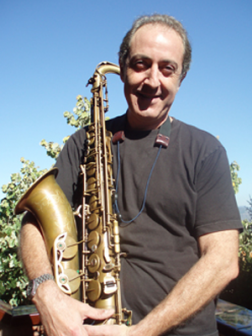 His professional career began in the "Taller de Músics de Barcelona" as a saxophone and clarinet teacher. Meanwhile he was also learning about jazz language playing in combos and big band in the school. During this period, he was the tenor sax player in the "Beboporum Octet Group", that won the second prize in the San Sebastian Jazz Festival Amateur Jazz Meeting in 1985. Also, in 1988, in Berlin, achieved the second prize in the Big Band festival.